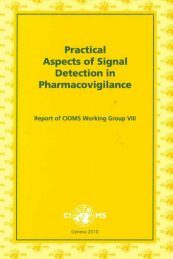 Employees of governmental institutions including regulatory bodies, as well as non-profit organizations, can obtain a free PDF of this publication. 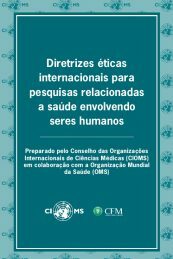 Please email info@cioms.ch to obtain your free PDF. Download the template for creating a vaccine communications plan here. the handling of any new safety issue arising during the life-cycle of a vaccine. 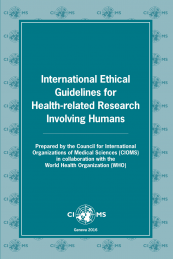 Sourcing from existing guidance documents and compiling recommendations relevant from a regulatory perspective, the Guide provides a common ground in a way that has not been achieved otherwise at global level. The Guide stresses the fundamental importance of regulatory bodies having a system in place with skilled persons who can efficiently run vaccine safety communication in collaboration with stakeholders. 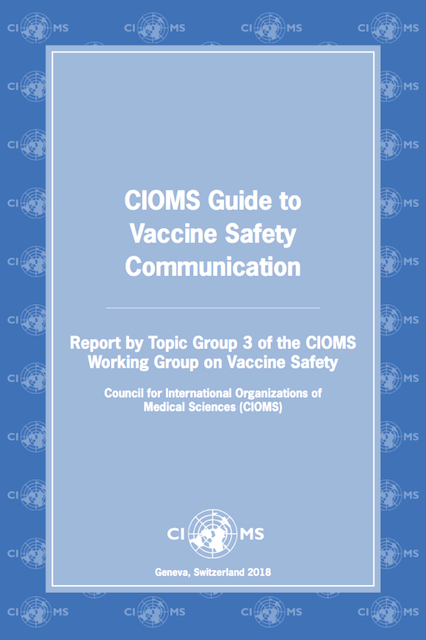 It presents information and examples with colour-coding for quick access to three levels of guidance and offers a CIOMS template to use to create a Vaccine Safety Communication Plan. 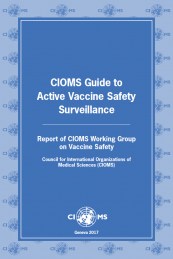 In 2017, the CIOMS Working Group on Vaccine Safety (WG) issued a report CIOMS Guide to Active Vaccine Safety Surveillance (Guide AVSS), offering a practical step-by-step approach and a graphic algorithm to aid immunization professionals and decision-makers in determining the best course of action when confronting such challenges. 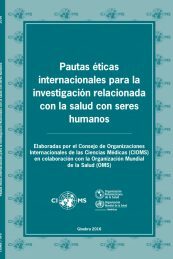 This new CIOMS Guide to Vaccine Safety Communication stemmed from topic group 3 of the same WG which brought together, in a unique forum, pharmacovigilance specialists and other experts from regulatory and public health authorities, the World Health Organization, and academia as well as manufacturers in emerging and industrialized countries. 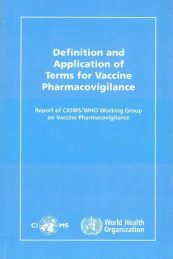 It presents recommendations for vaccine safety communication with a specific focus on regulatory bodies. A number of communication guidance documents already exist for immunization programmes covering how to manage communication when an adverse event occurs. Few have thus far been issued addressing the specific needs of regulatory bodies – whether they be established authorities in high-income countries or developing authorities in resource-limited countries. Little has been published for these groups in relation to communication about risks, uncertainties, safety and safe use of the vaccine products they license. This CIOMS report aims to fill this gap.